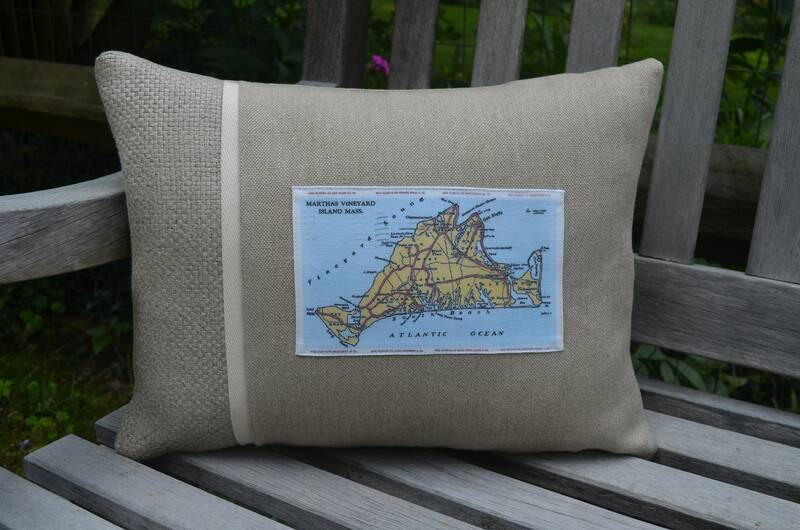 A Martha's Vineyard map postcard pillow. 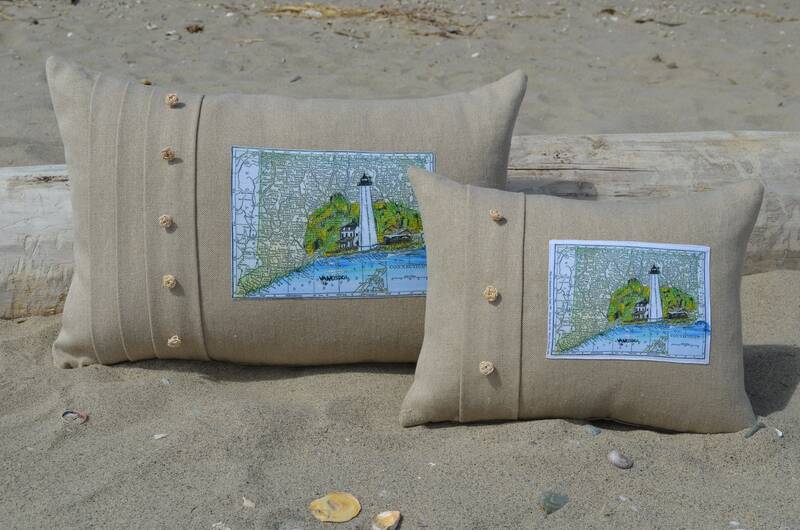 This is one of our Cape Cod and The Islands region "destination" pillows . The image is available in 3 different styles and 2 different sizes. 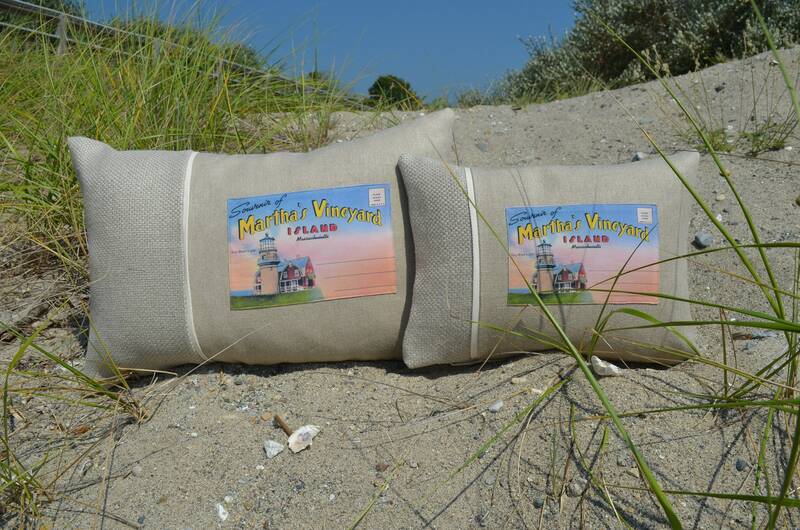 The 2nd photo shows the pleated version in 2 different sizes. The 3rd photo shows the 2 tone version in the 2 different sizes and the 4th photo shows the striped version. 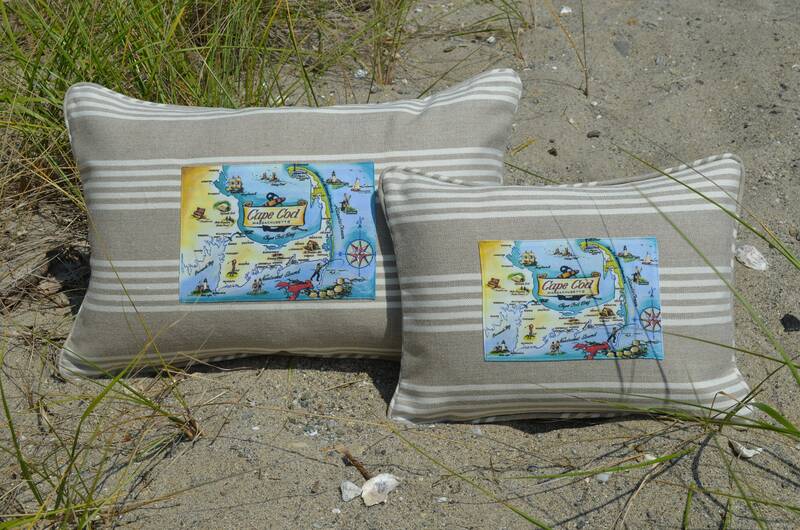 The buttons on the pleated pillows are hand tied by a retired Merchant Marine Sailor.